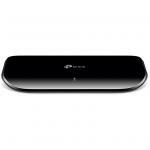 "Perfect - does exactly what I wanted it to to - plug and play - brilliant value for money - excellent delivery from PBTech." 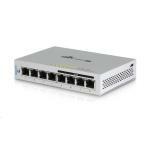 The D-Link 8-Port Fast Ethernet Unmanaged Metal Desktop Switch with 4 PoE Ports (DES-1008PA) enables both home and office users to easily connect and supply power to Power over Ethenet (PoE) devices such as wireless Access Points (APs), IP cameras, and IP phones while adding more Ethernet devices like computers, printers, and Network Attached Storage (NAS) onto a network. Built with home and small business users in mind, this compact PoE switch operates quietly, making it ideal for use in virtually any room or office. 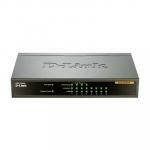 The DES-1008PA features 4 10/100BASE-TX ports that support the IEEE 802.3af PoE protocol. Each of the 4 PoE ports can supply up to 15.4 Watts, a total PoE budget of 52 Watts, allowing users to attach an IEEE 802.3af-compliant device to the DES-1008PA without requiring additional power. 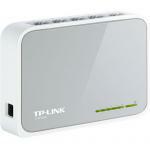 Use PoE for applications that are far from power outlets or when you want to minimize the clutter of extra cables. 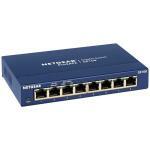 No configuration is required and installation is quick and easy. Support for Auto-MDI/MDI-X on all ports eliminates the need for crossover cables for connection to another switch or hub. Auto-Negotiation on each port senses the link speed of a network device (either 10 or 100) and intelligently adjusts for compatibility and optimal performance. The switch has been designed without fans so you can be sure of quiet operation wherever it is installed. The DES-1008PA also features diagnostic LEDs, which display status and activity, allowing you to quickly detect and correct problems on the network. With wire-speed filtering and store-and-forward switching, the DES-1008PA also maximizes network performance while minimizing the transmission of bad network packets. 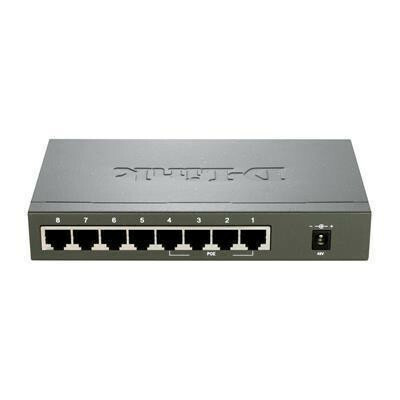 Combining the convenience of PoE, superior performance, and ease of use, the D-Link 8-Port Fast Ethernet Unmanaged Metal Desktop Switch with 4 PoE Ports (DES-1008PA) is the ideal choice for adding PoE devices to both a home or small business network. 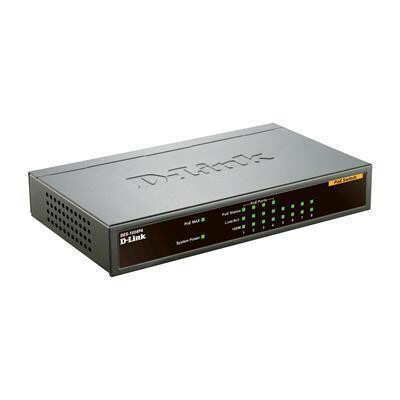 The D-Link DES-1008PA is an 8-Port 10/100Mbps Ethernet Switch with four PoE Ports that can provide power to PoE-enabled devices such as wireless Access Points (APs), IP phones, and IP cameras. You can also add other Ethernet devices like computers, printers, and Network Attached Storage (NAS) onto your network. This device runs ultra-quiet, making it ideal for both home and small office use. 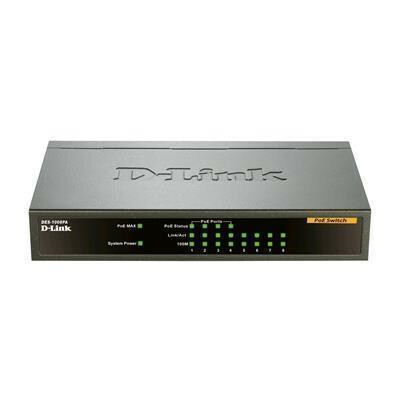 The D-Link 8-Port Fast Ethernet Unmanaged Metal Desktop Switch with 4 PoE Ports is a Plug-and-Play device that requires no configuration, so setup is simple and hassle-free. But we know that setting up your switch is only the beginning; you may want to connect multiple computers, share files, music, and video across your home or small office network, or even create a multi-player gaming environment. 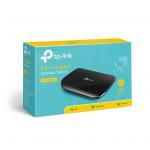 D-Link provides support resources to answer all of your questions and help you get the most out of your network. Find answers to frequently asked questions, download product updates, and easily access the friendly D-Link Customer Support Team. Perfect - does exactly what I wanted it to to - plug and play - brilliant value for money - excellent delivery from PBTech.Perfect - does exactly what I wanted it to to - plug and play - brilliant value for money - excellent delivery from PBTech.